I've been house & puppy sitting this week. I say puppy. He's about the same size as a small pony and probably has enough energy throughout the day to power the whole village for an entire year. It has also been incredibly humid, I almost feel like I'm sitting in a hot bath all day. I'm certainly not complaining though, the warmth feels like a much needed treat and the pup is a bundle of fun. I had been thinking about trying a more natural shampoo & conditioner after I counted over 30 ingredients in the ones I was using, but I'm by no means completely clued up on which are good and which to try and avoid. But I certainly wasn't convinced that using something with so many ingredients, most of which I couldn't pronounce, could be a good thing. A small twist of fate meant that an email from Organicopia was sitting in my inbox the next morning asking if I'd like to try anything from the website. I like to think of this as one of those 'meant to be' moments. Anyway, this is going to sound borderline crazy but my head just feels so much better! The shampoo lathers really nicely and it doesn't leave my hair feeling stripped and tangled. The conditioner is also pretty nice and gives my oily, fine hair just enough moisture without weighing it down. 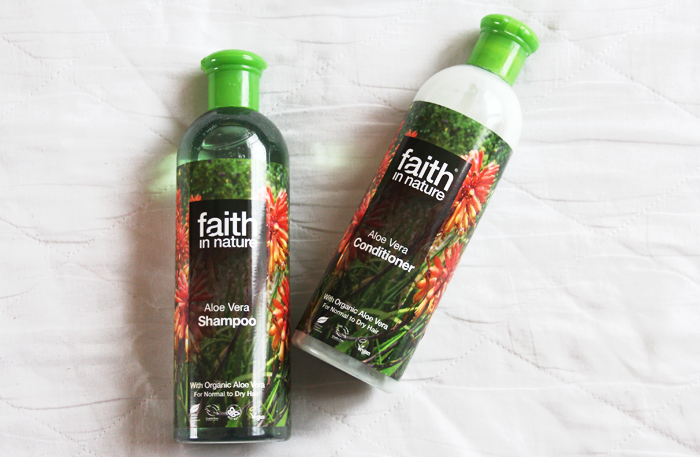 I'm really impressed and I think I'd like to give the seaweed shampoo & conditioner a try after I've finished these. Ohh this is so lovely. A really delicate scent, a hydrating but non-greasy formula and it makes my skin feel beyond soft. I don't think I'm totally sold on the ingredients so I'm not sure I'd purchase the full size & it's a little expensive BUT I have been really enjoying this little travel sized tube over the last few days. This came along at the perfect time. I had just cleared out my mascara drawer and then this beauty was nestled inside my June Glossybox*. I never really buy mascaras that cost more than £6 because, well, I'm a bit cheap these days so this has been a little bit of a treat. 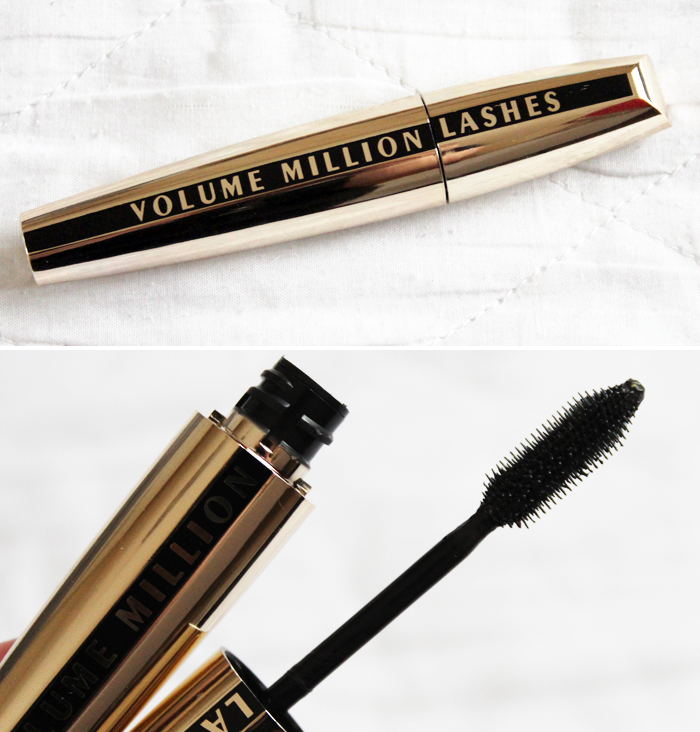 I love this mascara. They're a decent stopper in there so there's never too much product on the wand and the shape makes it so easy to get in and grab those pesky tiny lashes towards the inner corners of my eyes. A good squeeze of my lash curlers & two coats gives me instant fluttery lashes. It has a pretty strong scent to it which I'm not crazy about, but other than that it's pretty lovely. Yep. Still completely head over heels for these. There's just something about them that's so nice. They're sheer but this shade mutes the colour of my lips just enough, the formula is smooth and they taste like caramel. In fact the only thing I don't like so much is the price, but I think if I were only allowed to own one lip product it would be one of these. Or a Dior gloss. So it's kind of a good job I don't have to choose because I'm a terrible, terrible decision maker. This little, unsuspecting book comprised of a mere 48 pages is part of my next literature module at University. Contained within those 48 pages however is sheer brilliance. I'm not very well read when it comes to poetry so I tend to go with my instincts; a collection will either instantly captivate me or it won't. And this one did. Hugely. Is there anything that has particularly stood out to you this week? Still have yet to try the Lip Perfector, but I always hear such good things! I am obsessed with T.S. Eliot after studying him in my literature units. I highly recommend Sylvia Plath as well, the same eeriness of Eliot can be found in her works as well! PS - Thanks for the follow! 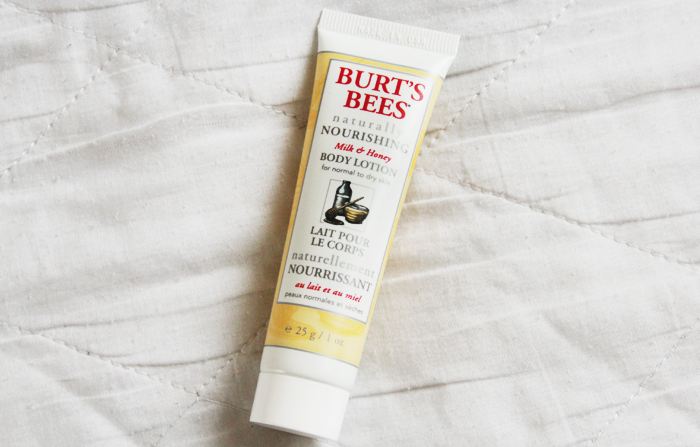 I love that Burts Bee's body lotion, mainly because it's one of the only things that doesn't brake me out in a rash. Thanks for sharing your weekly faves, really tempted to pick up that mascara & that T. S. Eliot collection. I love the Burt's Bees body lotions! Mine has just ran out so I need to buy a new one, STAT! 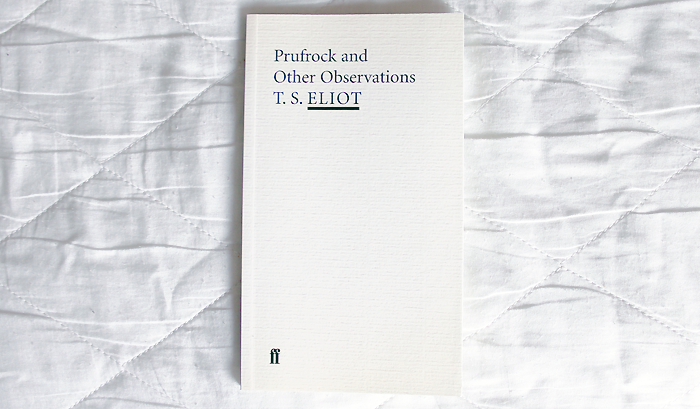 I love a bit of T. S. Eliot! It would seem you're really interested in Modernist writers so I'd search for Modernist poets and go from there - W. B. Yeats etc! Puppy-sitting sounds like so much fun! :) and love the look of the Burts Bees Body Lotion! Have used burts bees products in the past from the lip care range, really love the lip balms but they are quite expensive as you said! 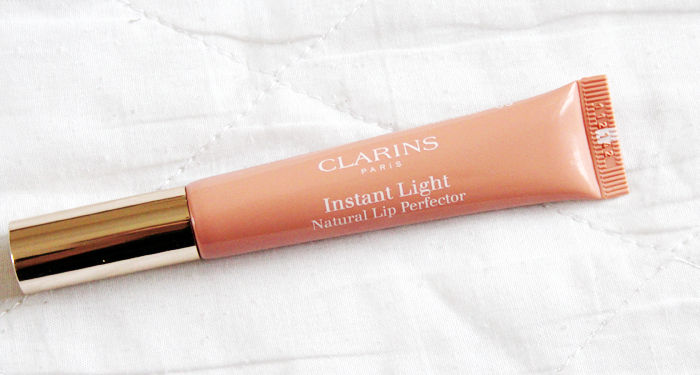 I think your blog was the first one talking so much about Clarins lip perfectors :D I love mine too! 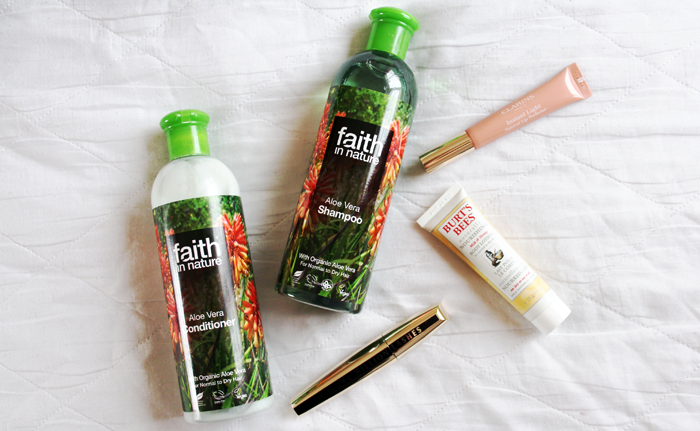 The shampoo & conditioner sound beautiful, definitely looking into those :) Lovely picks, Jennie!